Blue Ribbon Prostate Clinic is a specialty clinic focusing on assessment and treatment of problems related to Men’s Health, including Urology Diseases like Prostate Cancer, Kidney Stones, Male Infertility and Sexual Dysfunction. It was established by Dr. Ashish Sabharwal in 2004 as Urology Centre of Excellence and affiliated with accredited multispecialty hospitals in Delhi. 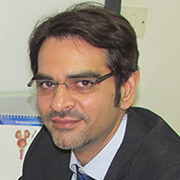 Dr. Sabharwal is considered a top-class Urologist and has attained Advanced Fellowship in Endourology and Robotic Prostate Surgery from Jackson Health System, Florida (USA). He conducts all the complex and advanced intervention like Laser Prostate and Robotic Prostate Surgeries, Laser treatment of Kidney Stones and treatment of Erectile Dysfunction with penile implant among others. Blue Ribbon Prostate Clinic offers world-class medical care to patients worldwide, meeting the international quality standard for clinical care. Each year, a multitude of International patients travel to India for treatment of various ailments, including Prostate Cancer Treatment and Robotic Surgery for Prostate Cancer. This trend of medical tourism to India is further established due to the availability of most advanced and complex procedure by highly qualified experts at an affordable price range. Blue Ribbon Prostate Clinic International Executive/ team has a dedicated staff of International Care Coordinators and medical support team. This team ensures that the patients from overseas receive the personalized care and best possible treatment, keeping in mind the privacy and comfort. Communication with the expert for the appropriate treatment/package. Assistance with medical visas like Visa invitation to the patient and the attendant. Nearest Airport: Indra Gandhi International Airport which is 15 km away from the hospital. Nearest Railway Station: New Delhi Railway Station which is 7 km away from the hospital. Nearest Metro Station: Karol Bagh Metro Station which is 1.3 km away from the hospital. 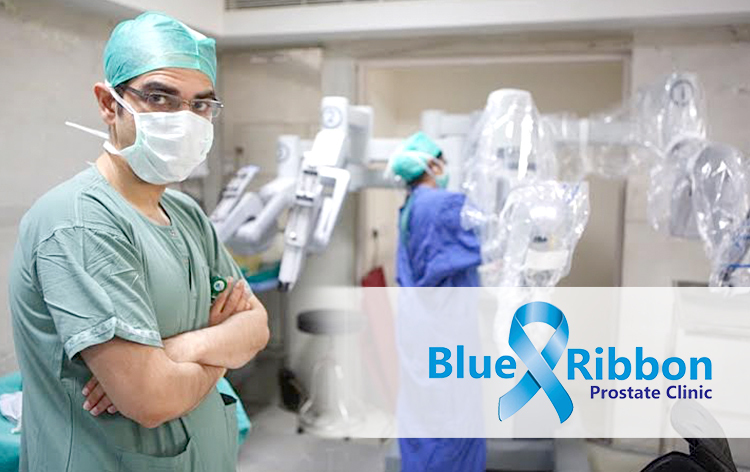 Blue Ribbon Prostate Clinic performs 36 different procedures. Click on a procedure name to see more details and to view doctors for that specialty. 4.5 average based on 59 reviews.